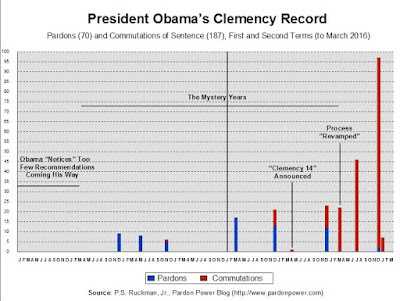 To date, President Obama has granted 70 pardons (4 conditional) and 187 commutations of sentence (6 conditional). 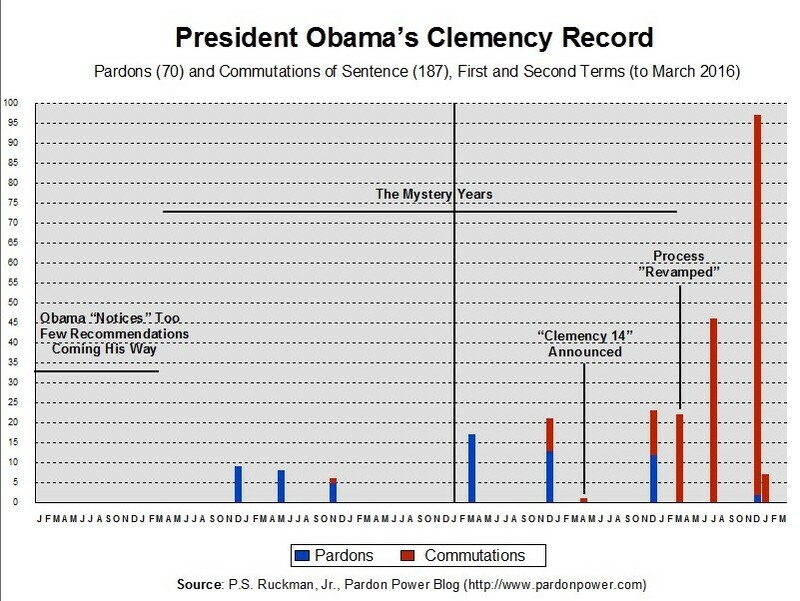 The figure for pardons is lowest for any full term president since the administration of John Adams (1797 to 1801). 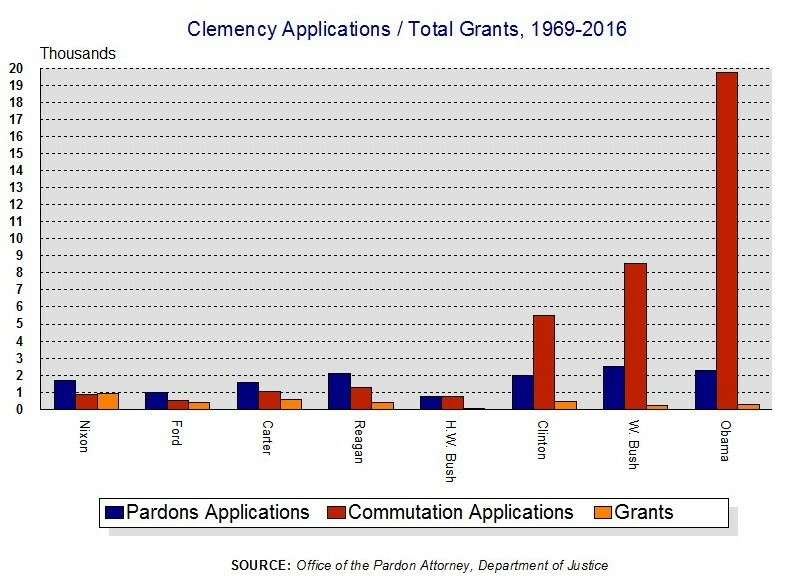 The figure for commutations is better than most recent presidents, who were both notoriously neglectful of the pardon power and received far fewer applications (see second chart, below). 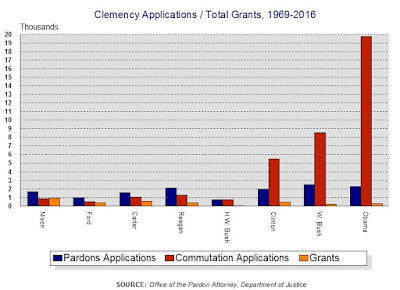 150 of President Obama's 257 total grants (or 58 percent) have been granted in a single month alone, December.